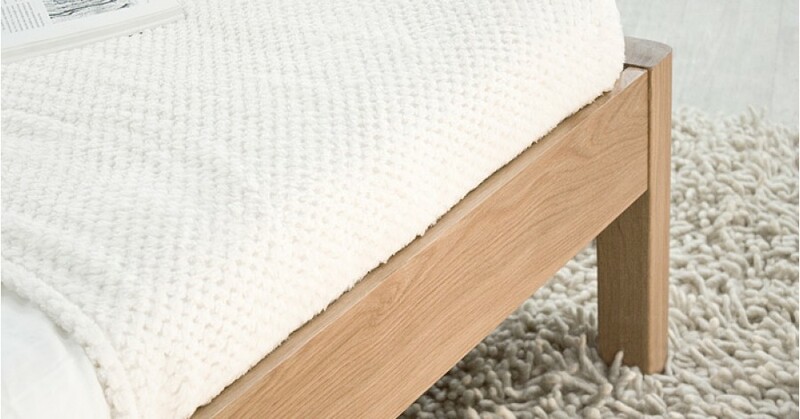 Our wood Platform Bed is a very simple yet incredibly stylish design. This frame has been designed so it will perfectly complement your decor. This wood bed frame is handcrafted in Great Britain and meets our highest quality standards to ensure that it lasts for years to come. 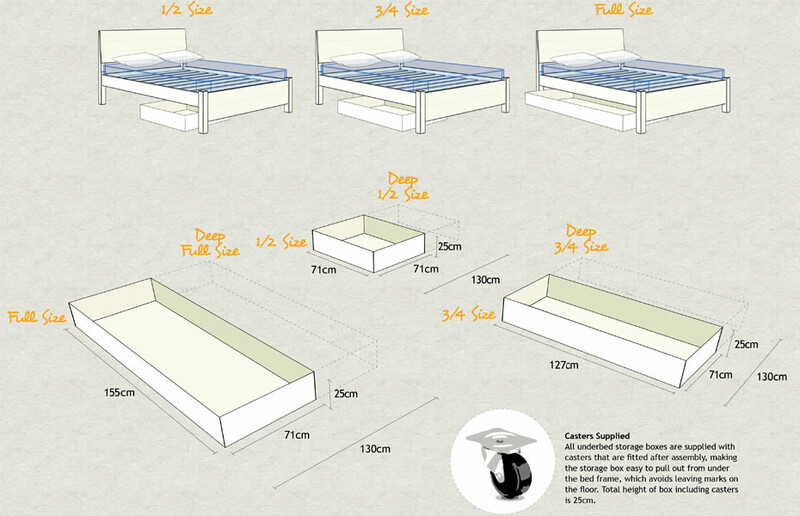 Why Choose The Platform Bed Frame? Choosing our elegant Platform Bed is excellent for those looking to bring simplicity to their bedroom. 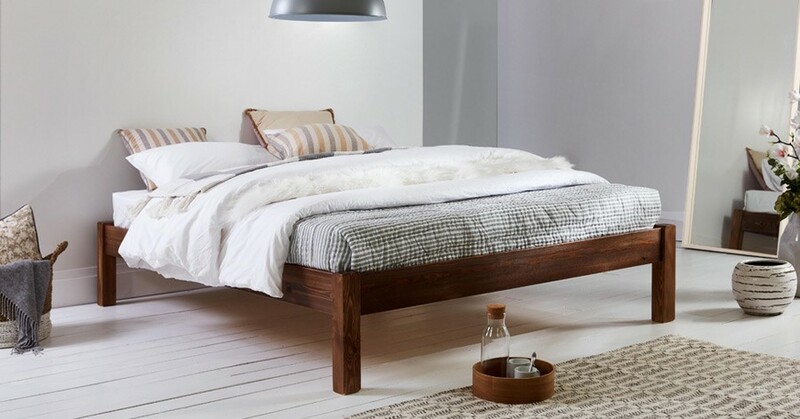 The design of this wood bed will help to create a more spacious feel in any bedroom. With no headboard, this bed is as simple as possible, a good choice for those who don’t want one which boasts possibly obtrusive feature points. 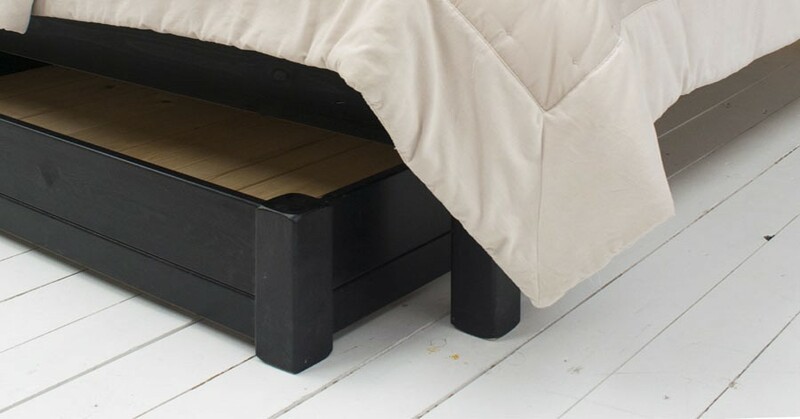 There’s also plenty of room underneath your bed frame for under bed storage so you can truly make the most out of the space in your bedroom. The Platform Bed is available in multiple different sizes so you can choose the one which is best fitting for your bedroom. Because we handmake all of our wood beds to order, we’re also able to allow personalization of your wood bed in multiple ways. You can choose from various color options for your Platform Bed, including our stunning white finish, a customer favourite. 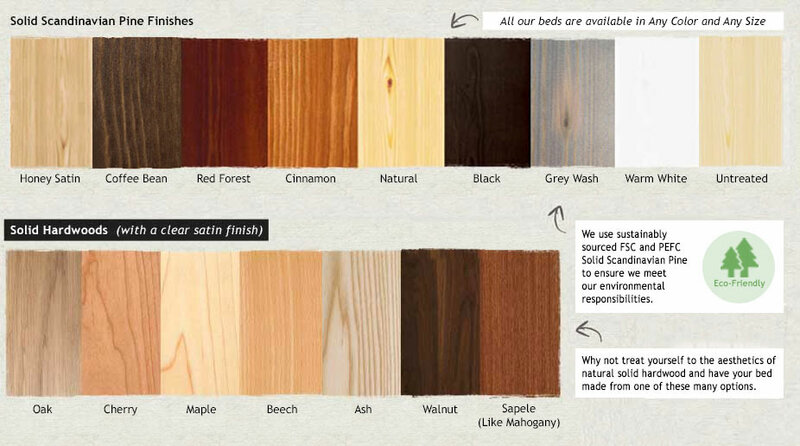 For those that want a more natural and simple looking finish, we also have solid hardwoods to choose from. 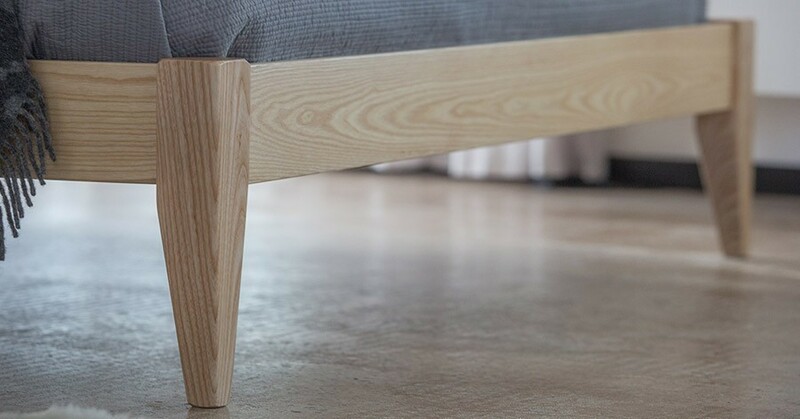 The Platform Bed is very appealing when chosen in Oak. 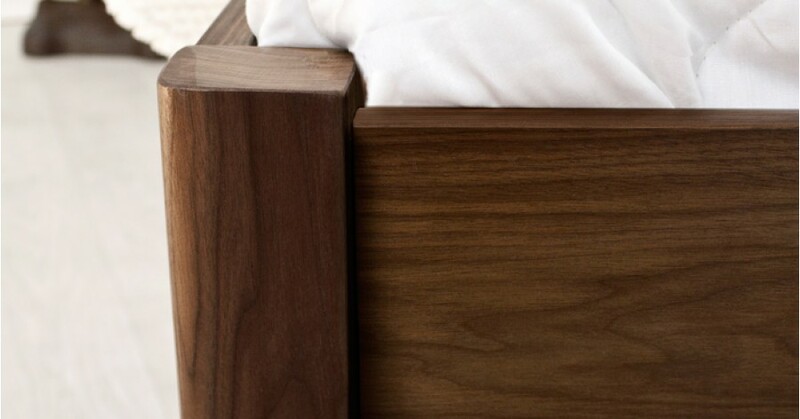 With each of our wood bed frames, we aim to achieve the highest quality possible. Your bed will be constructed with traditional techniques such as mortise and tenon joints which add stability to your frame. We’re so sure about the quality of the construction that we offer an 11-year structural guarantee on all of our bed frames. The Platform Bed is the standard version of our Platform Bed (Space Saving). These are both the same simple design, except the Space Saver version has been designed with efficiency in mind. 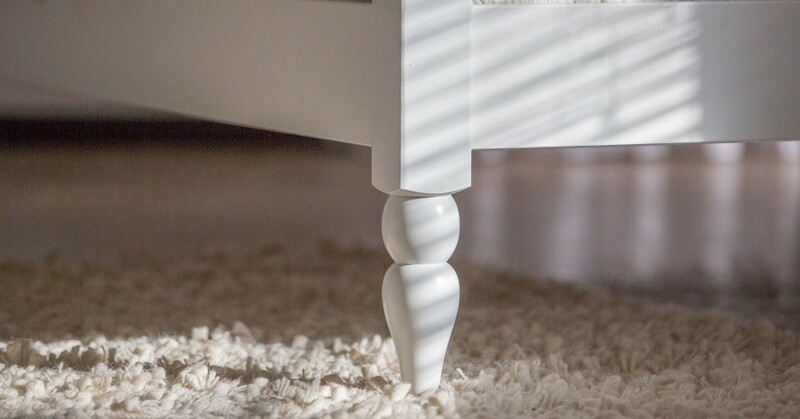 The design of this bed frame means the mattress sits on top of the frame, rather than within it. 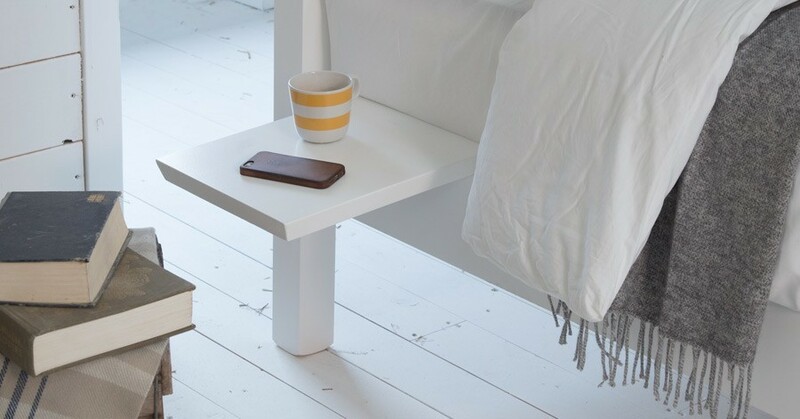 This overall reduces the size, helping to save more space in your bedroom. For the same stunning looks as a Platform Bed, but for a lower design for your loft conversion, our Low Platform Bed frame is for you.